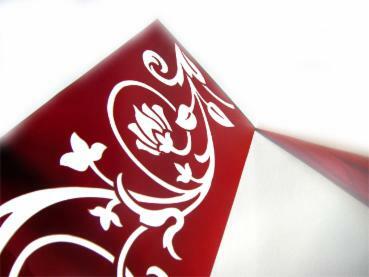 We will create bespoke contemporary designs or reproduce traditional period designs. 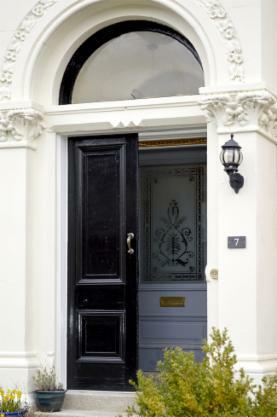 A Victorian reproduction for this Dennistoun, Glasgow home. 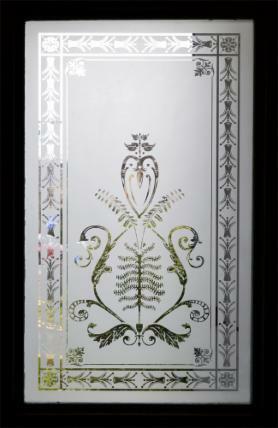 Ruby flashed glass (Lamberts) etched border patterns. 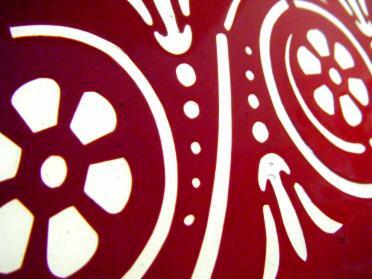 Vine scrolls, acanthus flowers and greek key or meander patterns are common elements of Victorian design. 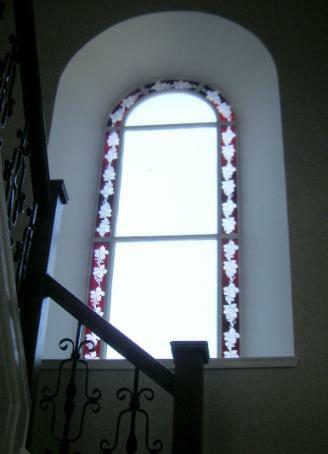 Complete reproduction of three central etched daisy panels and nine ruby flashed ivy border scrolls for this Strathaven fire damaged home. Public artwork "Never Far Away". Etching and installation of 20 toughened glass panels for a public arts project in Elgin, Scotland for artist Nicola Atkinson, Nadfly. 2010. 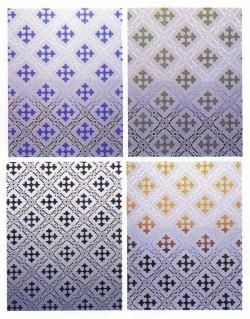 The installation also included 1600 hand glazed stoneware tiles which the glass panel design was taken from. 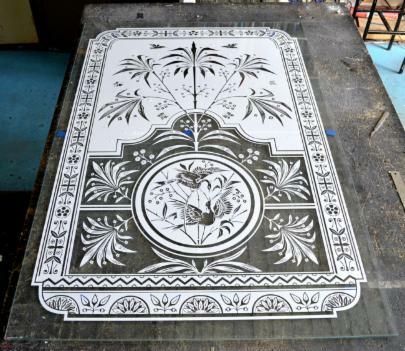 Screenprinted and etched glass Gothic design. Etched glass mask prior to being sandblasted. 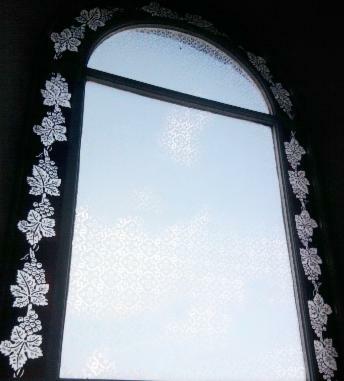 The panel was then installed as part of a double glazed unit and installed in a Stirling home. 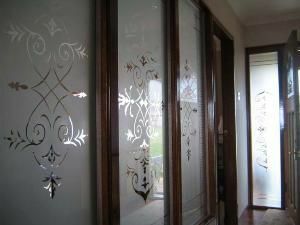 An updated/simplified Victorian design for a glass screen and door panel in this modern Kilsyth home. Scotland.